The BBQ and Bluegrass Festival Brewfest will be held on Thursday prior to the BBQ event. It will take place at the Washakie County Fairgrounds from 5pm – 9pm. A $20 wristband (must be 21 with ID) will get you unlimited samples of a variety of craft beers. The rest of the family can purchase brats, pork sandwiches, water, lemonade and Pepsi products. Come on out and enjoy live music and fun for the whole family. If you are a brewer, and would like to share your samples, please contact us. 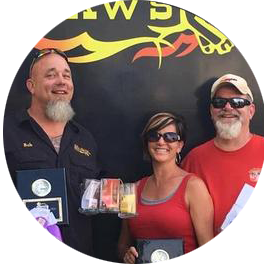 © Pepsi Wyoming State BBQ Championship and Bluegrass Festival 2019.